Famous for her avant-garde outfits, over-the-top performances, and addictive dance beats, Lady Gaga is one of the most successful pop musicians of all time. But behind her showmanship lies another achievement: her wildly successful strategy for attracting and keeping insanely loyal fans. She got there by methodically building a grassroots base of what she calls her "Little Monsters" - passionate fans who look to her not just for music but also for joy, inspiration, and a sense of community. Pop stars will always have their die-hard fans, and superstar Lady Gaga (real name Stefani Germanotta) is no different. 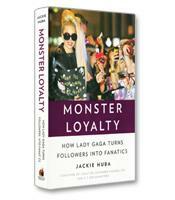 Lady Gaga calls her fans "little monsters," and in Monster Loyalty, marketing and social media author and speaker Jackie Huba shows why the singer known for her outrageous costumes and mega-hits can serve as a model for developing sustained customer loyalty. Huba, whose previous books are Creating Customer Evangelists and Citizen Marketers, draws seven key business lessons from Gaga’s career: focus on your one percenters, lead with values, build community, give fans a name, embrace shared symbols, make them feel like rock stars, and generate something to talk about. In her 2007 book Citizen Marketers, Huba dismissed the argument that 20 percent of customers create 80 percent of a company’s value. In truth, according to Huba, most of the value that customers bring to the company comes from just one percent of the customer base. These one percenters are fully engaged customers who, among other characteristics, believe in the company and feel that they are part of something bigger than themselves. Gaga and her manager, Troy Carter, clearly understand and embrace the importance of the one percenters, Huba writes. Despite her 33 million followers on Twitter and 55 million likes on Facebook, Gaga and Carter decided that they needed to create a private space for the most die-hard superfans. Gaga and Carter created Littlemonsters.com, a website in which Gaga communicates with her fans. There is, of course, a high level of interaction among the fans, but it is the direct communication between Gaga and the fans that makes this site unique. As one superfan explained, "Lady Gaga seems to go on [the site] on a regular basis. She’s updating all the time. A couple of weeks ago, she tweeted some fan art that she found on the site." Gaga’s engagement goes further than simply interacting on social media. Gaga is passionate about helping young people feel worthy. She does this not just through her songs but also through her Born This Way foundation, "the mission of which," Huba writes, "is to empower youth by offering mentoring and career development, and focusing on issues like self-confidence, well-being and anti-bullying." Gaga thus exemplifies another lesson for business: Lead With Values. With each business lesson, Huba ties Lady Gaga’s examples to one or two business case studies. One of the most interesting juxtapositions is between Gaga and Finnish housewares company Fiskars, which was founded in 1649. As Huba demonstrates, both the outrageous rock star and the centuries-old company understand how to build a community around their “products” by understanding customers’ passions. Readers will quickly understand that Huba is no pop fan who decided to stretch her love for her favorite singer into a business case; the lessons in Monster Loyalty are insightful and practical. Nor is Lady Gaga just a young singer who happened to hit it big. From her classical music training to her careful study of Andy Warhol’s iconoclastic life to the deliberate decisions she makes in her causes and career choices (even the infamous meat dress achieved its political aim), Gaga is a savvy marketer and shrewd businessperson. 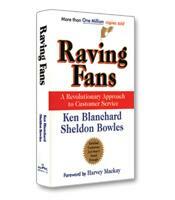 Receive more free book reviews like this one every month by signing up for our free Executive Book Alert newsletter.